The Institute of Certified Bookkeepers is a professional body whose main purpose is to provide Business and Accounting Related qualifications. The ICB is accredited by the Quality Council for Trades and Occupations (QCTO). The ICB has been in operation since 1931, continuously working to give you the best educational advantage for your career. ICB accredited courses are designed to give you a qualification which makes you more employable. The ICB offers five different streams of study, namely; Financial Accounting, Office Administration, Entrepreneurship, Business Management and Public Sector Accounting. 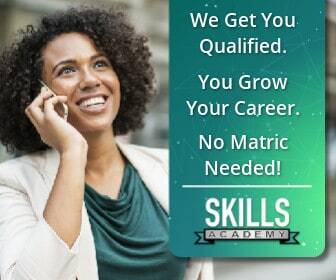 All the courses they offer are registered on the National Qualifications Framework (NQF). This means that they will provide you with a nationally recognised qualification upon completion. The ICB Accredited Courses start at NQF L3. This means that you can study without matric, you only need to have finished grade 10. The only other entry requirements are that you are least sixteen years of age, and able to read and write in english. If you meet these requirements, you can start your studies with their fully accredited NQF L3 Junior Bookkeeping Course. The great thing about completing this course is that you’ll have a qualification which immediately allows you to start your career as a certified bookkeeper. With enough working experience, you can even obtain membership to the Institute of Certified Bookkeepers & Accountants of South Africa (ICBA). This membership comes with many benefits which will assist you throughout your career. The ICB has made it possible to study their courses in many different ways. They’ve partnered with many educational institutions to ensure that everyone has a fair chance to access their qualifications. This means that regardless of your employment status, age, education level or lifestyle, you can take an ICB Accredited Course. The ICB has done their utmost to make their courses valuable and accessible to all. The ICB has 5 streams of study to choose from. Because all the ICB courses are registered on the NQF, you are able to switch study streams after completing any level of any stream. You can ask your college or course provider to assist you with this. Completing any of the course levels will give you subject credits which you can use towards your next choice of study. For example, you can start off studying Financial Accounting NQF L3, and switch to Business Management NQF L4 afterwards. This allows you to tailor your studies so you can obtain the knowledge and skills that best suit you. Aside from the NQF levels and credits received from the courses, they have all been structured in such a way that they are relevant to each other. This means that a switch between any of the streams won’t leave you struggling to catch up missing knowledge. Many of the subjects from different streams overlap, so the switch will be much easier, and the work you need to catch up won’t be unmanageable. The ICB understands that no two people are the same. Everyone lives a different life, with different schedules and different ways of doing things. This is why they’ve made it possible to choose multiple ways to study for their qualifications. The ICB has built many positive relationships with multiple educational institutions. Their courses are available from full-time, part-time and distance learning institutions. This means that regardless of your lifestyle or schedule, you can study their courses and further your career. The many partnerships they have created also means you can find a place that suits you. The study options don’t only suit your schedule, but also your pocket and preferred learning style. Every institution has different payment options, and different standard text-books which you will use to complete your ICB studies. The ICB’s role in your studies is to assess the knowledge you have gained during the course of your studies. You need to submit a Portfolio of Evidence (PoE) along with your final exam at the end of your course. Your PoE is made up of three open book assignments and two open book tests. These will be handed in along with your final exam to the ICB. Once they have completed the assessment process, and you pass with the required marks, you will be provided with your qualification. Exams are held 4 times a year for distance learning students, and every month for those studying part-time or full-time. This means that you can start studying at any time during the year, and complete your exams at a time that best suits you, within the given exam timetables. This makes it ideal for late applicants who may have missed other university or college registration dates. If you aren’t entirely sure about a career in business or accounting, some providers allow you to register for single subjects as a short course. This will never go to waste, as you will still receive credits for the course which you have completed. Once you’ve finished, you can decide whether or not you wish to sign up for additional subjects in order to make up one of the ICB’s qualifications. You can also split courses up and take the individual courses. This means you have more time to complete the course, even if your lifestyle is an incredibly busy one, your ICB studies don’t need to slow you down or interfere with your day-to-day business. The ICB’s reputation is a longstanding and respected one. They’ve built good relationships with some of the top industry leaders, in an effort to stay relevant and provide you with a valuable qualification. ICB qualifications are recognised both nationally and internationally, meaning you’ll have access to opportunities both locally and abroad. If you’re looking to stand out at your next interview or working towards your next promotion, having an ICB qualification may give you the edge you need to beat out other candidates.